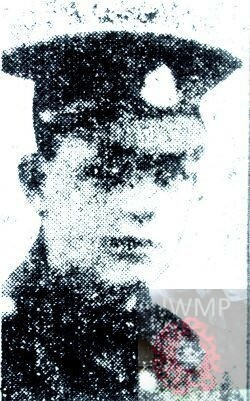 Died: 28th September 1917; age 19; KiA. Residence: 56, Carr Street, Ipswich. Rank: Lance Corporal; Service Number: 43392. 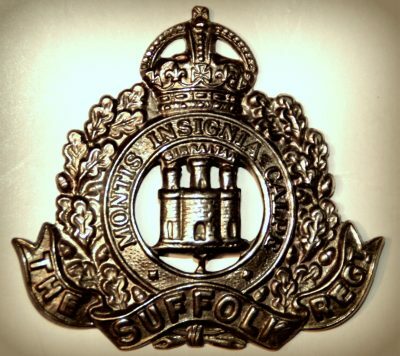 Formerly a Dispatchrider – 1894, Suffolk Cyclists. Relatives Notified & Address: Son of Robert & Emma Hendry, of 15, Church Road, Hendon, London. 1901 56, Carr Street, Ipswich. Robert was 3 years old and living with his parents & sisters. Robert Dixon Hendry, 36, a Family Baker – employer, born Greenock, Renfrewshire. Emma Hendry (nee Cocksedge), 35, born Hadleigh, Suffolk. Emma Cocksedge Hendry, 9, born Ipswich. Edith Augusta Hendry, 4, born Ipswich. 1911 56, Carr Street, Ipswich. Robert was 13 years old and living with his parents & sisters. Robert, 46, a Baker – employer. Emma, 19, a Shorthand Clerk & Typist. Tertia Irene Hendry, 9, born Ipswich. Soldiers’ Effects to Emma Hendry – mother. Robert is also remembered on the war memorial at St. Clement’s Congregational Church, Ipswich.